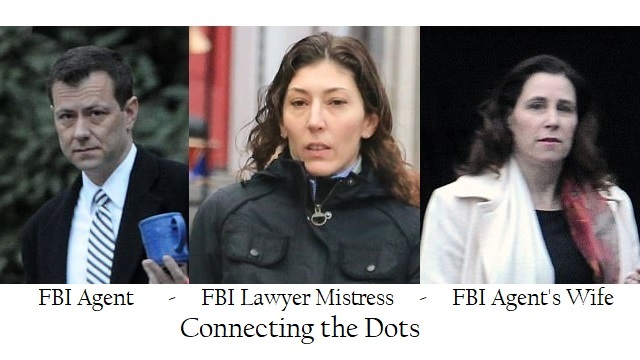 It is no news that Peter Strzok is a top counter-terrorism agent in the Federal Bureau of Investigation (FBI), however, not much is known about his better half, Melissa Hodgman, who has also accomplished a lot in her career. Just like her husband, Hodgman is a law graduate from Georgetown University. She currently plays an integral role in the U.S. Securities and Exchange Commission (SEC). Besides her impressive résumé, Melissa is a dedicated and loyal wife to Peter and has stood by him through his travails both domestic and on the professional front. Here are answers to frequently asked questions about Strzok’s wife. Melissa Hodgman is a Pennsylvanian born on the 12th of February 1968. Her academic records show that she bagged a bachelor’s degree in foreign service and later a law degree both from Georgetown University. Again in 2007, Hodgman obtained her masters of law with distinction in securities and financial regulation, this was from Georgetown University Law Center. Earlier in her career, Hodgman worked as an associate at Milbank, Tweed, Hadley & McCloy in Washington. She joined the U.S. Securities and Exchange Commission (SEC) in 2008 as a staff attorney in the enforcement division. Melissa gradually rose through the ranks and was noted for her excellent judgment and creativity. After four years in the Enforcement Division, she was rewarded with a promotion to the senior ranks as an assistant director with a mouth-watering paycheck. In her new executive position, Hodgman continues the tradition of pursuing difficult but fair enforcement actions and investigating various fraud cases in accordance with professional standards. Melissa Hodgman is one of the three children born to Ann McIntyre and Brian W. Hodgman. She has a sister Laura and a brother Christopher. A 2010 tribute by Melissa revealed that she had a close relationship with her mother who passed away in November that year. According to Melissa, their mother was a writer and humanist who raised her children responsibly. On the other hand, not much is known about her father. Melissa Hodgman and Peter Strzok’s love journey dates back to their college days at Georgetown University. Their love stood the test of time and a few years later in 1994, they exchanged marital vows. Peter and Melissa have been married for more than two decades and their union has produced three children. Melissa lives with her family in a luxurious home located in Fairfax Virginia which they acquired in the year 2003. Melissa Hodgman and her hubby who share the same alma mater (Georgetown University), are known to have donated heavily to the institution. According to the school’s record, the couple donated between $2,500 – $4,999 in 2012. Though they have survived nearly three decades together, Hodgman and Strzok’s union hasn’t been without its own troubles. Melissa’s hubby Peter Strzok was once alleged to have had an affair with an FBI lawyer named Lisa Page who worked for Deputy Director Andrew McCabe. Incidentally, McCabe’s family is alleged to have an alliance with the Clintons. After Donald Trump, the former reality TV star, businessman and the Republican candidate beat Clinton at the 2016 presidential election, FBI authorities announced that Trump’s campaign was being examined. The Bureau appointed a special counsel to lead the high-stakes case and determine if Trump’s campaign team conspired with Russia to shape the presidential election. However, there was later a plot twist when the Justice Department’s inspector general uncovered messages exchanged between Strzok and Page. The compromising messages also contained bias comments that criticized Trump during the Clinton investigation and campaign season. Peter Strzok was consequently questioned by members of Congress but he vehemently denied that the messages had influence in the investigations. Strzok joined the FBI in 1996 as an analyst on terrorism cases and having recorded amazing success in several cases, he rose through the ranks specializing mostly in espionage and counterintelligence. Sadly, after a distinguished 22-year career with the Bureau, Peter who was famed for his special talent on following leads was dismissed from Robert Mueller’s investigative team as a result of the messages. Despite the ripples that came with the controversy, Melissa and Peter’s love was unshaken. A loyal and dedicated wife, Hodgman stood by him through the troubles. See Also: Meet Phil Mudd of CNN – The Former CIA and FBI Exec, Is He Married, Who Is The Wife? Besides her financial earnings, Melissa Hodgman’s work has been recognized and rewarded at different levels. She is a recipient of the Ellen B. Ross Award and an SEC Chairman’s Award.